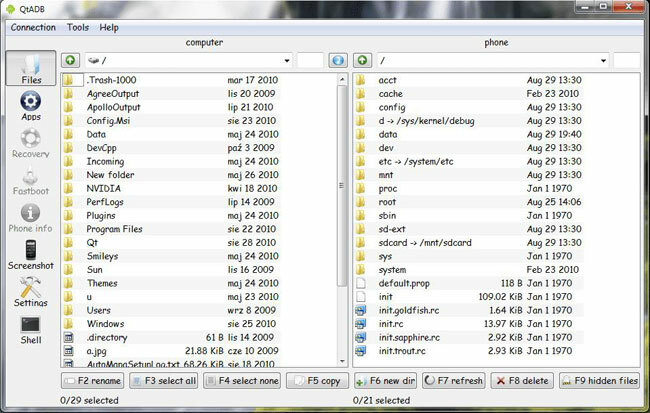 Although Android Phones have open source OS, yet connecting Android Phone to Mac OS X has always been a problem. Natively, Apple users cannot connect Android Phones to Mac because there are no built-in drivers present in the Mac. However, users can use a third-party application or software to connect Android to Mac. Basically, there are three ways of connecting Android Phone to Mac and every way has its own pros and cons. One is useful for those users who want to connect their Android Phone with computer wirelessly while the second one is useful for those who want to connect Android Phone as a USB drive. The best way to connect Android Phone to Mac is using iMusic which is best alternative of iTunes for Android on Mac OS X. 1. Click Here to go to the Webpage of Android File Transfer and hit the “Download Now” button to install the program on your computer. Follow the on screen instructions to install this program on your computer. 2. Now, connect your Android Phone with Mac using the USB cable and launch recently installed Android File Transfer from the Launchpad. Once the program is launched, you will see another folder in the Finder which you can open to access all data present on your Android Phone. You can also copy the data between your Android Phone and MacBook. AirDroid is one of the best ways to connect your Android Phone with the Mac. Recently, the company has released the Mac application and you can control everything on your Phone right from the AirDroid app on your Mac. This application will need the local Wi-Fi connection to connect your Android Phone with the Mac OS X and with the paid version, you can easily transfer unlimited files and folders between the Mac and Android Phone. On the good note, this application will let you send messages, receive calls or even use applications right on your Mac OS X while connecting your Android Phone using AirDroid. On the other hand, this software does not include any options to transfer music from iTunes Library on your Mac to Android Phone. 1. Go to Play Store on your Android Phone and search for AirDroid Application. Download and install this application on your Phone. Download the AirDroid App on your Mac by clicking on the link given above. 2. Once the application is installed, make an AirDroid account either on your Phone or Mac and use this account to login on your both devices. Make sure that both of your devices are connected to the same Wi-Fi network. 3. After logging in, you will be able to connect Android Phone to your Mac using the Air Droid. You can read messages or send files to your Android using the same application on your Mac. The last but the best method to connect your Android Phone with Mac is using the iMusic . This professional utility is the full fledge Music Manager for Android Phone, iPhone and even Mac OS X. Users can easily transfer songs, albums or even the playlists between Android Phone and Mac and the best part is that it will also add the Album arts to different songs. So, if you have a huge collection of songs in the iTunes Library, the whole collection can be transferred by using one click method present in iMusic. 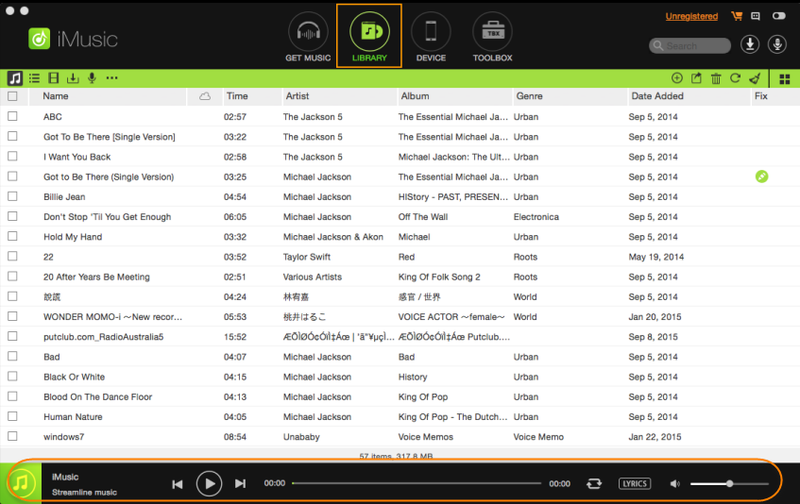 You can also select and transfer songs from a folder on your Mac or iTunes Library on your Mac to the Android Phone. 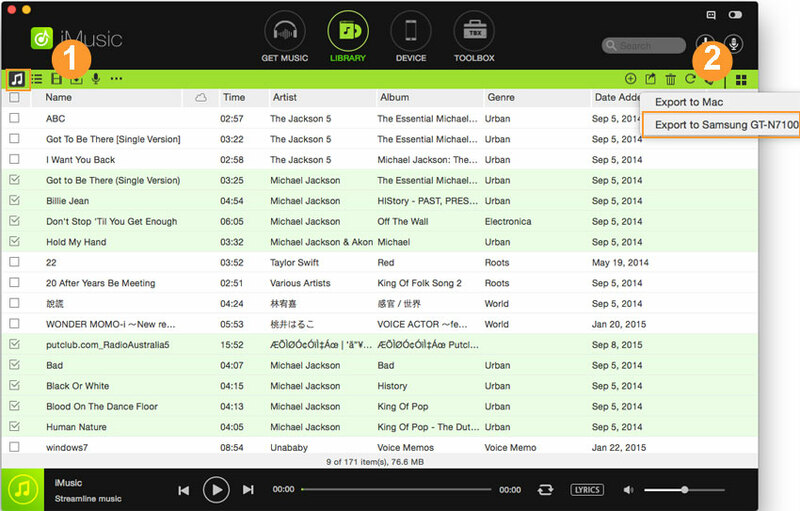 Lastly, it is the perfect tool to repair the music tracks present on your Mac. So, if a song does not have the Artist name, album name or genre, it will automatically add these things to the songs. Here’s the step by step guide on how you can use iMusic to transfer music from Mac to Android Phone. 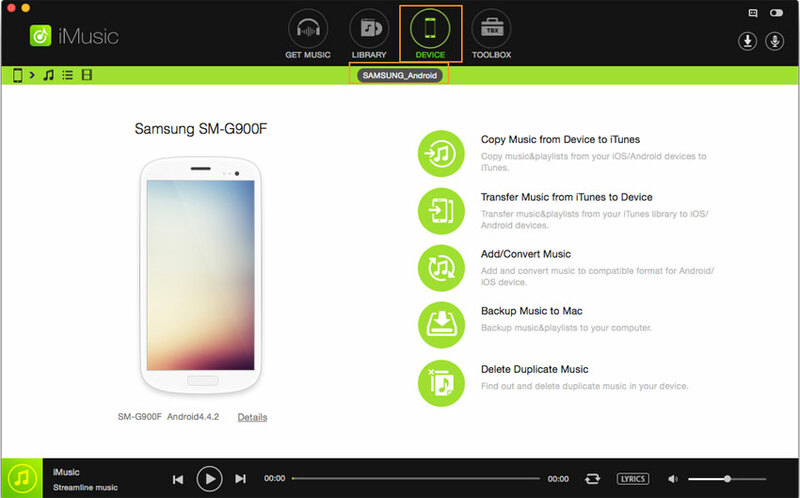 This method is suitable for those users who want to transfer songs from a folder present on their Mac to the Android Phone using iMusic. Step 1. Connect your Android Phone with the PC and Launch iMusic on your computer. Now, make sure that you have enabled the “USB debugging mode” on your Android device. Under “DEVICE” tab, you’ll see your Android phone is displayed there. Step 2. click on the little music icon which is located in the left side of the screen. 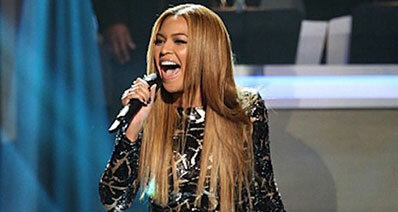 This will show all the music present on your Android Phone. Now, click on the “Add” button and select the music that you want to transfer, wait for a few seconds to complete the transfer process. 1ST WAY: Unlike the previous method, Go to the “DEVICE” tab and click on the “Transfer Music from iTunes to Device”. 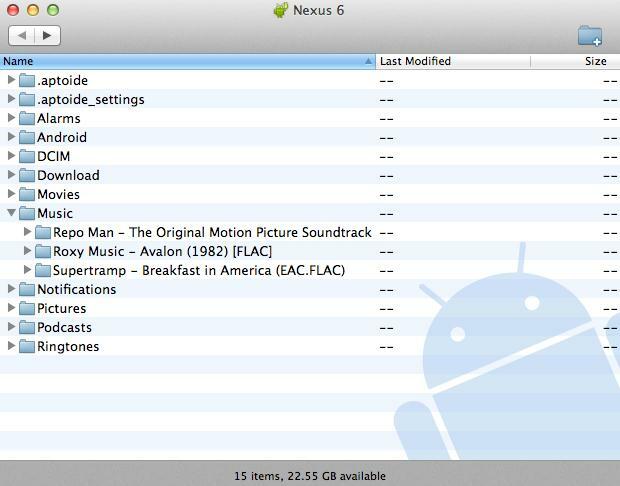 This method will transfer all of the music present on the iTunes Library to your Android Phone. 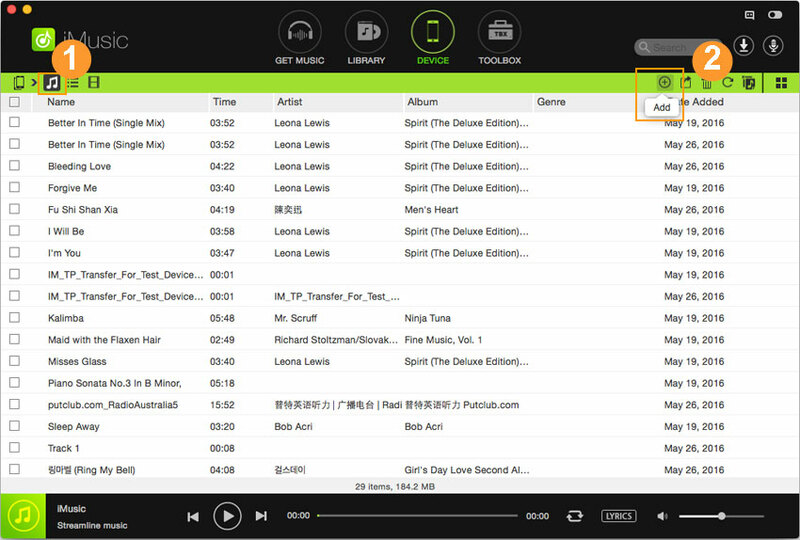 Now, select the playlists that you want to transfer to Android and click on the “Transfer” button. A bar will be shown on top of the screen. Once the bar is full, the process of transfer is completed. You can click on the “Finish” button to complete the process. 2ND WAY: click “LIBRARY” on iMusic. It is the quick access to iTunes library. After then, you can see all iTunes music library songs are displayed there. Check the one you need and click the export icon. From the drop-down list, choose your Android phone. That’s it!